Over the past six months, we have seen federal and state regulators place increasing attention on Bitcoin and similar financial innovations. Shortly after the FinCEN guidance in March, many companies believed that they could get up and running by having a solid Anti-Money Laundering (AML) policy and being Money Services Business (MSB) compliant on the federal level alone. However, it has become clear that companies who want to survive in this space must be MSB compliant on both the federal and state levels. 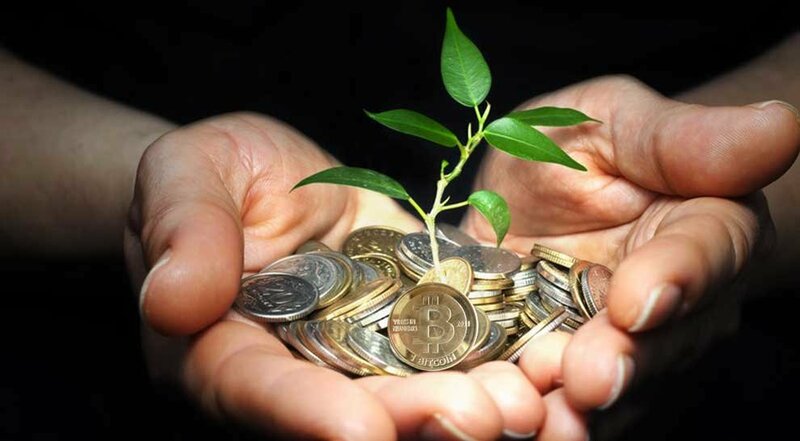 This has created well-publicized challenges for Bitcoin startups, who are working to legitimize Bitcoin despite the hurdles brought on by unaccommodating banks, difficult-to-obtain regulatory partnerships, and the huge costs associated with compliance. Obtaining all of the necessary licenses to comply with MSB regulation on your own requires upwards of 18 months and millions of dollars, which is non-starter for a startup that needs to get to market quickly and on a budget. While some companies are taking this approach regardless, others in the Bitcoin space are working to form an agency partnership with an entity that is already regulated. The roadmap to compliance for any company ultimately takes good legal counsel and creativity from its founders, but there are basic steps that most Bitcoin companies (especially exchanges) should be taking to make sure they stay on the right side of the law. A common mistake I am seeing Bitcoin entrepreneurs make right now is pitching investors and business partners with a lack of knowledge on regulatory matters that directly affect them. It’s okay to not have a background in compliance, but founders need to ramp up on it quickly if they want to survive in this scrutinized space. A few entrepreneurs are ignoring compliance altogether, believing they can build traction now and pay for the consequences later. This is a losing strategy, and companies taking this approach won’t be around a year from now. States are, to many people’s surprise, starting to come down strongly on noncompliant Bitcoin companies, and a single misstep can become a permanent roadblock to success in other states. Bottom line: if you’re starting a Bitcoin company, you need to genuinely understand the regulation surrounding the industry and your company’s business. We can see how proper compliance will affect a company’s survival, and there are steps we can take to move our companies towards a successful launch despite these regulatory hurdles. Through my own work at Coinsetter, I have come across general paths that make compliance feasible on a startup budget. To start, there is a lot of information available online to help entrepreneurs gain a good understanding of the basic issues. Do a Google search and read it. Next, it’s key to find the right attorney. Ask for recommendations from other companies in the space. Work solely with attorneys that have legitimate experience in Bitcoin and who stay current on recent events. There are a few attorneys in particular that have been especially active and have a good reputation in the community. There are great options available that have reasonable pricing and care enough to create a practical game plan for you, as opposed to the inconclusive “if scenarios” most high-priced law firms will charge you for. MSB consultants are another asset that can steer you in the right direction, but again, make sure you get references from other companies in the space. Once you’ve hired the right advisors, you’ll be working with them to lay out the best plan for your company’s particular situation. Before you begin on these discussions, it’s helpful to broadly understand the strategies other Bitcoin companies are currently pursuing. Here’s a snapshot to get you started. On the federal level, one of the first steps your company will take is to create a written AML compliance policy that outlines how your company prevents and detects money laundering. A good law firm will have a standard policy template that you can use as a starting point for this. An MSB consultant can help you tailor it to your company specifically. Next, assuming you have determined that it’s appropriate, your company will register federally as an MSB with FinCEN. Be sure to also understand the monitoring and reporting duties associated with this. Most of this information on the federal level is pretty easy to comprehend and seems manageable. However, things become considerably more difficult on the state compliance level. The more established companies in the Bitcoin space are hustling to form plans that put them on a path towards fifty-state compliance. There are a few different options that have surfaced as viable routes to take. The first option is to obtain MSB licenses state-by-state. Not only is this expensive and time consuming, but many companies will be obtaining licenses that they will eventually become exempt from as other agencies establish regulatory authority over companies in the Bitcoin space. On the plus side, companies that go this route will control their own licensing destiny. The second option is to form an agency partnership with an already licensed MSB. This option can be very expensive (prohibitively so), and finding companies that are interested in partnerships like this is surprisingly difficult. Trust plays a big role in the existing MSB business, and it’s worth seeking out a consultant with pre-existing relationships to help pitch your company to potential partners. The third option is to form an agency partnership with a bank. This option is being heavily explored right now, and there do seem to be banks that are open to discussing it. Since every one of these fifty-state compliance routes takes time to achieve, companies should consider an initial beta launch to customers in MSB-friendly areas. This is the approach we have taken at Coinsetter. An initial launch to customers located internationally allows us to get our product into customers’ hands while we negotiate a partnership that enables us to offer Coinsetter across the United States. And I’ll emphasize, we’re working very hard on making that happen quickly. In the end, mo money mo problems. Regulation certainly isn’t making starting a Bitcoin company any easier, but the huge value potential of this space will make jumping through these hurdles worthwhile. In fact, regulation around Bitcoin is still fairly mild, and it will be even more burdensome for companies entering the space a year from now. My thought is that we need to keep communication between our companies open as we push forward on this; because even if we compete on some level, all of our ships are going to sail in the same direction.